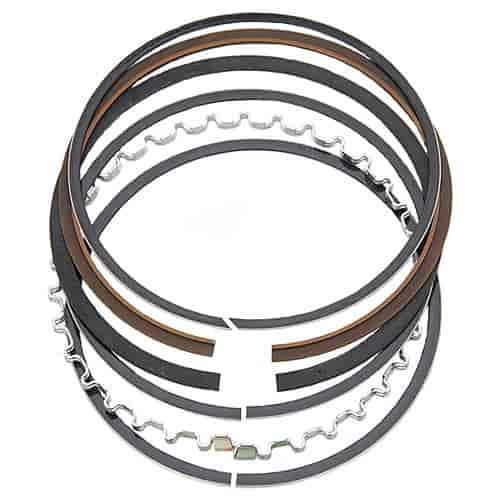 Total Seal Gapless Max Seal Piston Ring Set Bore Size: 4.035"
Gaps open as standard piston rings wear, allowing more combustion gases to escape (blow-by). Total Seal Gapless rings solve this problem with two-part interlocking rings to close gaps and to improve piston-cylinder seals. As gapless rings wear, the gaps stay sealed giving you better over all performance that lasts.